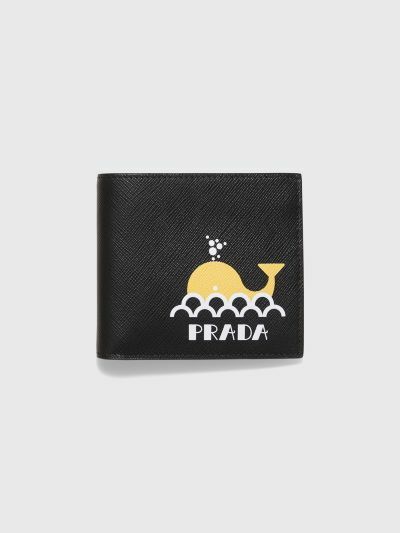 Wallet from Prada. Made from saffiano leather with print on the front. 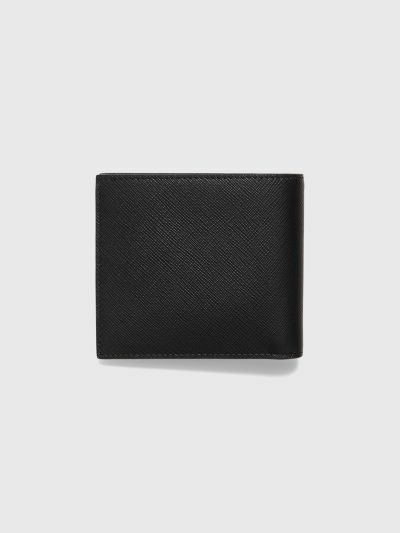 Two bill compartment, two document pockets and eight slots for credit cards and similar. Heat embossed logo on the inside. 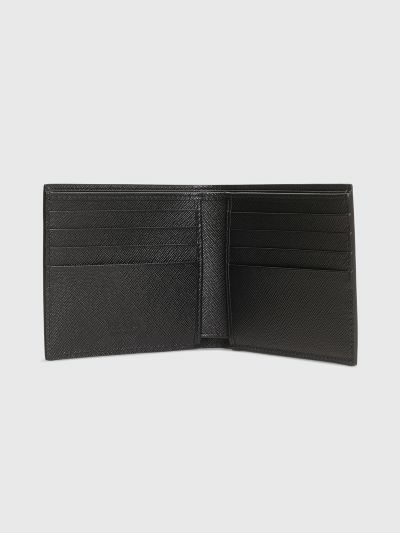 Black wallet made in Italy from 100% leather. One size. Measures 9,5 x 10 centimeters.